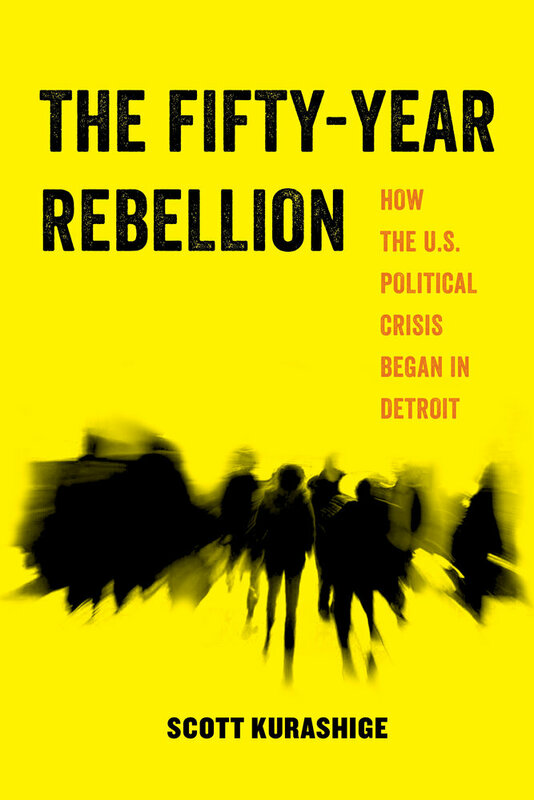 On July 23, 1967, the eyes of the world fixed on Detroit, as thousands took to the streets to vent their frustrations with white racism, police brutality, and vanishing job prospects in the place that gave rise to the American Dream. Mainstream observers contended that the “riot” brought about the ruin of a once-great city; for them, the municipal bankruptcy of 2013 served as a bailout paving the way for the rebuilding of Detroit. Challenging this prevailing view, Scott Kurashige portrays the past half century as a long rebellion whose underlying tensions continue to haunt the city and the U.S. nation-state. He sees Michigan’s scandal-ridden "emergency management" regime, set up to handle the bankruptcy, as the most concerted effort to put it down by disenfranchising the majority black citizenry and neutralizing the power of unions. Are we succumbing to authoritarian plutocracy or can we create a new society rooted in social justice and participatory democracy? The corporate architects of Detroit’s restructuring have championed the creation of a “business-friendly” city, where billionaire developers are subsidized to privatize and gentrify Downtown, while working-class residents are being squeezed out by rampant housing evictions, school closures, water shutoffs, toxic pollution, and militarized policing. Grassroots organizers, however, have transformed Detroit into an international model for survival, resistance, and solidarity through the creation of urban farms, freedom schools, and self-governing communities. This epochal struggle illuminates the possible futures for our increasingly unstable and polarized nation. Scott Kurashige is Professor of American and Ethnic Studies at the University of Washington Bothell and coauthor with Grace Lee Boggs of The Next American Revolution.